What is it about small towns and dark emotions? Having grown up quite happily in a small town, it never ceases to amaze me how places where there are more farm acres than cows accrue so many mythical attributes, particularly in fiction. I suppose cities have their own stereotypes involving gangs, Wall Street and high-rise apartments. And, Blue Velvet plus The Stepford Wives has certainly totaled up some assumptions about suburbia. There's no denying that employing SETTING AS CHARACTER can be a powerful writing technique employed in books as diverse as Wuthering Heights and The Hunger Games. Beyond literature, it is instructive to break down cinematic examples of this strategy, such as Fargo, Breaking Bad, and Lost in Translation. 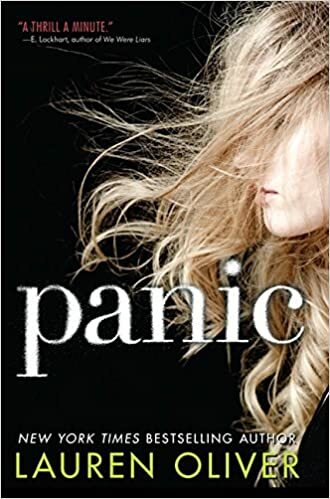 I recently read and enjoyed two novels set in small towns: PANIC by Lauren Oliver and ALL THE MISSING GIRLS by Megan Miranda. 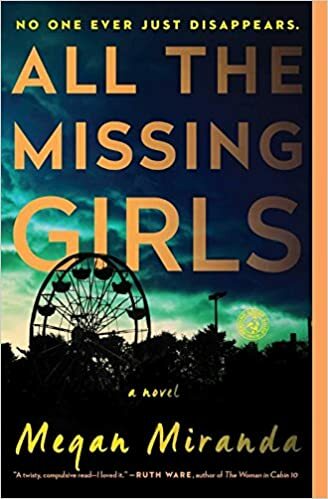 Though one book is an adult murder mystery and the other a young adult novel, both crossed into thriller territory and both are decidedly and critically set in SMALL TOWNS. In PANIC, the town is Carp, while in ...GIRLS, the setting is Cooley Ridge. The thing that particularly struck me about the role of the small town in these novels was the nuance of its function not so much as a CHARACTER in the novels, although the small-town setting certainly contributed to the stories' tones, so much as the way PLACE functioned as a MOTIVATOR in the stories. In PANIC, characters make choices due to a desire to escape the town and other choices due to a sense that there is no way to escape. In ...GIRLS, the narrator's departure from and return to the town drives twists and turns of the plot, while a sort of social line is drawn between those who have left and those who have stayed in Cooley Ridge. Do characters' manners or other behaviors change due to place? Does being in a given setting impact characters' value systems? If a character had been absent from a given setting, how might your story--and your world--be different? Is your place a starting point or a dead end? How does the setting impact characters' sense of self? In skilled hands, place can serve multiple functions without the need to complicate the story with extraneous secondary characters. It can be a rainy paradise or a rainbow-hued prison. It can drive a character to madness or lead a character to unexpected love. Make a list of small-town settings from novels you have read. Do they fit the trope parameters described above? Does the author use the setting to do more than establish mood? What can your setting - be it small town, big city, or something entirely different - do for your writing?